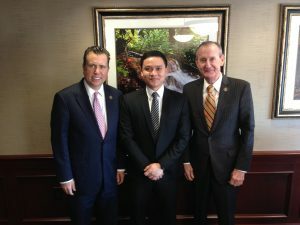 It took Tanes Rianglaem nearly 24 hours to fly from Bangkok, Thailand, to Stillwater, Oklahoma, and less than two hours at the Meridian Technology Center for Business Development to identify ways to improve his country’s emphasis on entrepreneurship and vocational education. Rianglaem, an educator from the Office of Vocational Education Commission with Thailand’s Ministry of Education, was matched with Meridian’s Center for Business Development through the Young Southeast Asian Leaders Initiative (YSEALI), a U.S. Department of State Bureau of Education and Cultural Affairs Professional Fellows Program (PFP) that is administered by the American Councils for International Education. The YSEALI program places young leaders from Southeast Asia with American counterparts throughout the U.S. to observe best practices to expand economic opportunities for their citizens, communities and countries. Rianglaem and 31 other fellows were selected to spend five weeks learning first-hand from economic development experts in institutions across the U.S.
Brad Rickelman, Assistant Director of the Meridian Technology Center for Business Development, became aware of the YSEALI program through his involvement with the International Business Innovation Association (InBIA), a global nonprofit organization committed to guiding, mentoring and developing sustainable entrepreneur support programs in every industry and demographic. “The InBIA sent an email this summer announcing the fall 2018 program and asked members to consider hosting a program fellow. When I saw Tanes’ background, I thought he would be a perfect fit for what we’re doing in our district. I also knew that he could easily take elements of what we’re doing here and replicate it back home in Thailand.” Rickelman said. In his role with Thailand’s Office of Vocational Education Commission, Rianglaem oversees the entrepreneurial efforts of 416 business incubators that are housed in vocational schools across Thailand. Much of his work involves providing support to young entrepreneurs and student-based enterprises across Thailand. His goal with the YSEALI program was to observe effective business incubator programs and learn how these programs maximize their resources to equip students with skills to develop their own businesses. Host institutions are tasked with designing meaningful and mutually beneficial learning opportunities based on each fellow’s background and goals for the program. Rianglaem is using his time at Meridian to learn how the Center for Business Development has created an entrepreneurial approach that extends beyond traditional business incubation programs. Over the last four weeks Rianglaem has observed Rickelman’s Starting a Business program offered in partnership with the Stillwater Public Library, and also participated in sessions of the new Startup Stillwater Accelerator program. 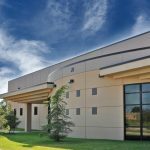 He has attended meetings with representatives from the Oklahoma Department of Commerce and met with Dan Boren, President of Corporate Development with the Chickasaw Nation. 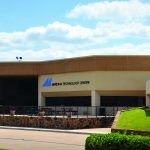 He also met with instructors in Meridian’s career training programs, representatives from the Oklahoma Department of Career and Technology Education, and tenants in the Center for Business Development. 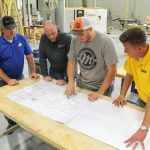 “Everything that Brad has set up has helped me see how entities across the state are successfully able to work together to help the economy grow,” Rianglaem said. “I’ll be able to use elements from what I’ve seen here to improve what I’m doing in Thailand. As part of the YSEALI PFP initiative, Rianglaem and Rickelman are eligible to apply for a reciprocal visit that would allow Rickelman to travel to Thailand and collaborate with Rianglaem and other incubator directors within its vocational education system. Much like Rianglaem’s application process, Rickelman’ s exchange application is highly competitive. 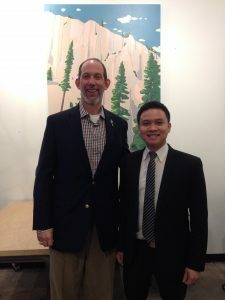 In addition to submitting a written proposal of what Rickelman would do in Thailand, Rianglaem will take part in an interview with representatives from the U.S. Department of State. Each of the 32 fellows can nominate their YSEALI PFP host, but only seven will be selected for the reciprocal visit.